Popping your own popcorn could not be easier. You just need the pop corn kernels, a paper bag and 3-4 minutes of your time……THAT IS IT!! 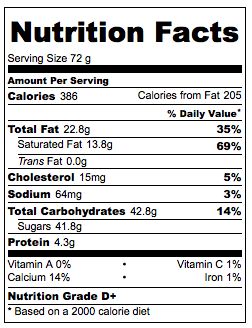 You don’t need to buy none of those unhealthy versions out there….trust me….this is way better. My daughter’s birthday its just around the corner so I am figuring out what sort of treats to make for the kids. 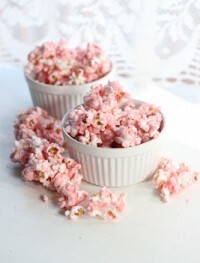 The theme is of course pink so the cake and some of the goodies I want to make are going to be pink. 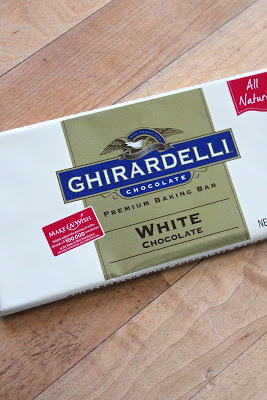 I think I will probably make some sugar cookies and some pink chocolate covered pretzels…will see. 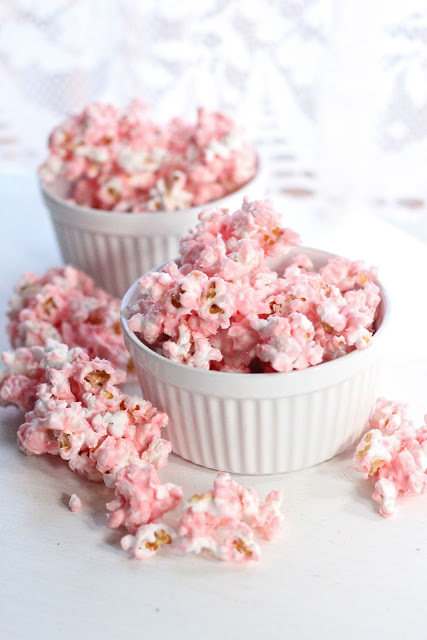 These chocolate pop corn its just AWESOME. 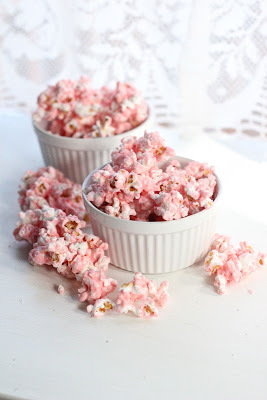 It is not going to be the last time I make this, for sure, since it is so good and super easy to make. Anyhow, this is really good. You can even try it with dark chocolate or any other chocolate of your choice. You could even get more creative and add some other things to the mix….why not! I used the white chocolate baking bar plus some white chocolate chips for the melted chocolate. 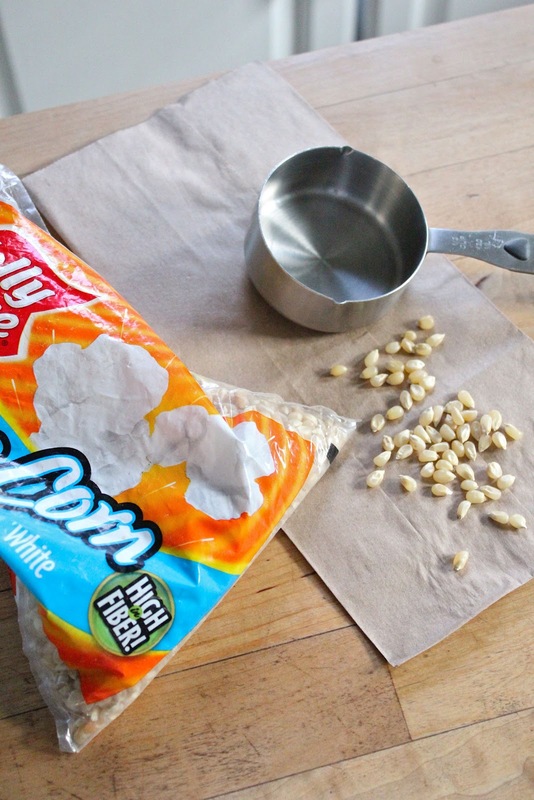 On the right picture you can see that all you need to pop corn is the actual kernels and a paper bag…… SO SO EASY! The left picture is right after getting the pop corn out of the microwave. The right picture is right after mixing in the melted white chocolate into the pop corn. 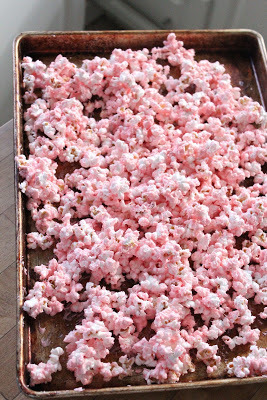 You could make the pop corn what ever color you prefer. In a paper bag, like in the picture, place popcorn kernels and fold top of the bag twice. Place it in the microwave and set to high for 3 to 3 and half minutes. Listen carefully for when kernels stop popping. As soon as the popping stops, take the bag out of the microwave. (Mine took about 3 minutes 15 seconds, my microwave is not to powerful). 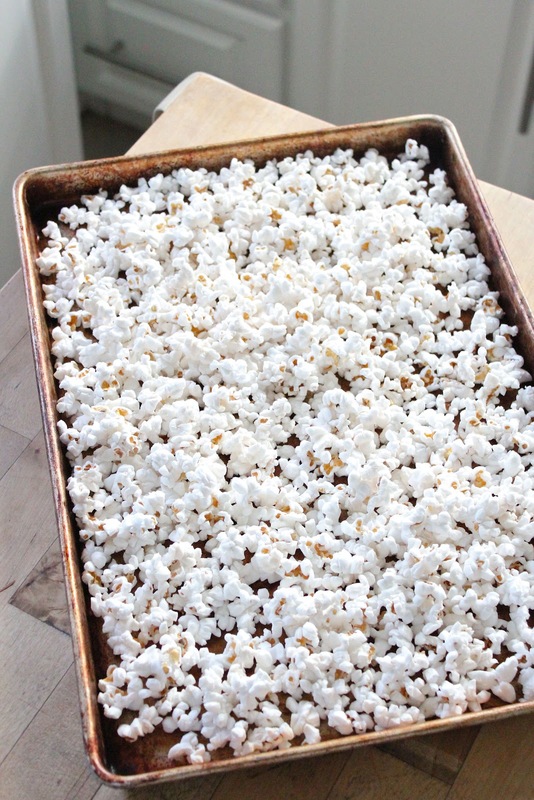 Place popcorn in a baking sheet and lay flat to cool. On a double boiler melt chocolate. When the chocolate is melted add 1 drop of food coloring and mix through. 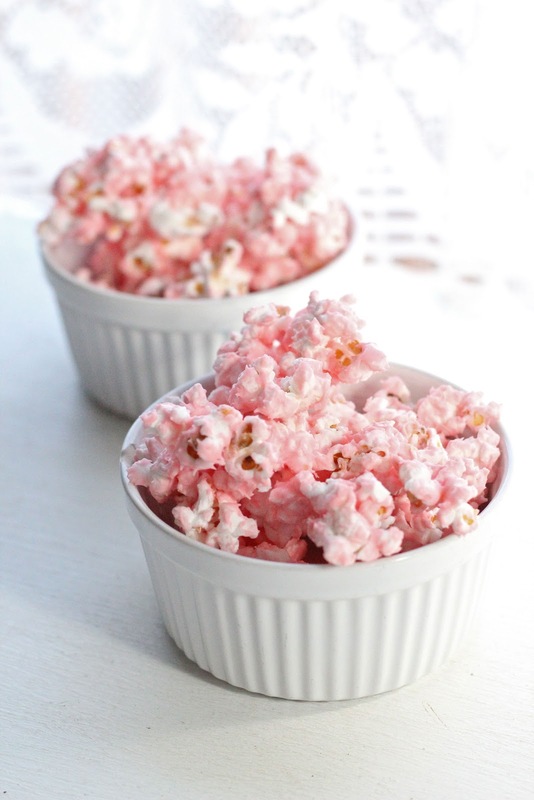 Pour chocolate over the popcorn and with your clean hands mix chocolate through. Set aside until chocolate sets and serve. 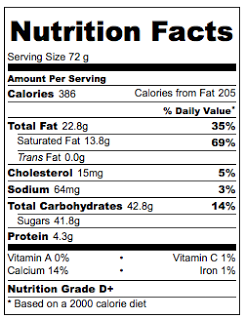 Nutrition facts calculated based on the recipe giving 4 servings. Notice the D+ rating. That is what chocolate does for you but I am ok with it :-) As long as you don’t eat the entire batch, once in a while it is ok to indulge! !